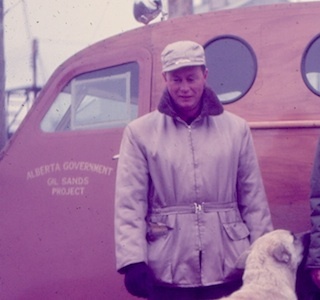 Karl Clark begins his long career investigating Alberta’s oil sands. 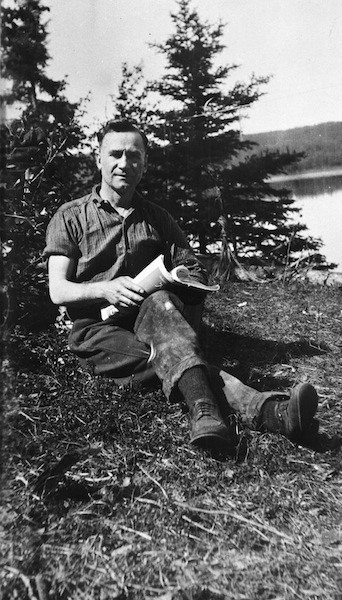 Robert Cosmas Fitzsimmons visits the Athabasca River and purchases an oil lease. 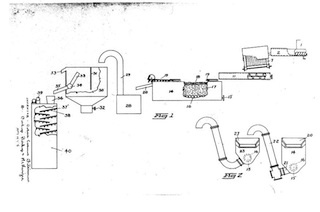 Karl Clark and Sidney Blair build prototype hot water separation plants. 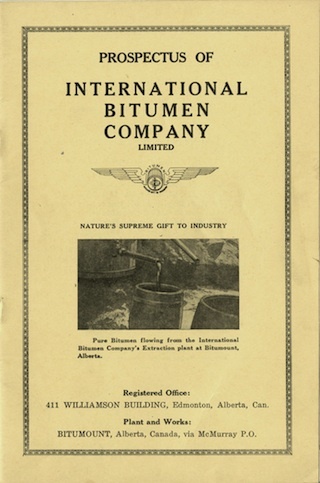 International Bitumen Company Ltd. is incorporated. 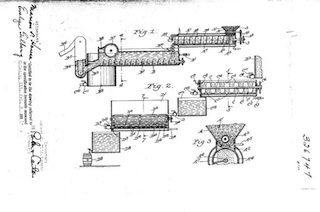 Prospectus for the International Bitumen Company Ltd., n.d.
Karl Clark’s hot water separation plant moves to the Clearwater River, near Fort McMurray. 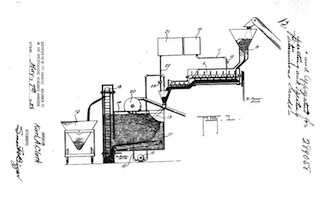 Karl Clark is issued Patent 289058 for “Bituminuous [sic] Sand Processing”. 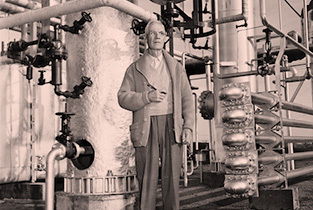 Robert Fitzsimmons builds his first separation plant at Bitumount. 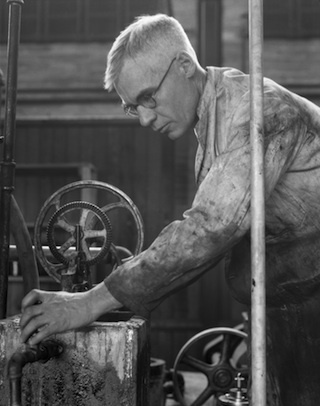 Robert Fitzsimmons builds a new plant designed to produce 200 barrels of oil per day, but it runs for only a short while. 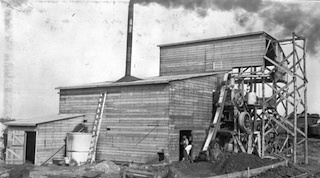 New plant at Bitumount, n.d.
Robert Fitzsimmons builds a refinery at Bitumount. 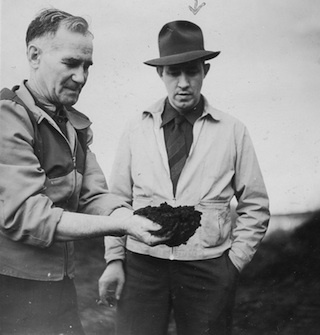 Montreal financier Lloyd R. Champion buys controlling interest in International Bitumen Company Ltd. and changes name to Oil Sands Ltd.
Fitzsimmons (left) shows Champion the oil sands at Bitumount, n.d.
Ernest Manning, Premier of Alberta, announces a loan of $250,000 to Oil Sands Ltd. to build a prototype oil sands separation plant at Bitumount. Agreement with Oil Sands Ltd. is cancelled. 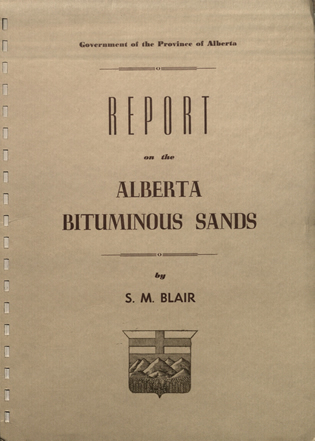 The Bitumount project becomes known as the Alberta Government Oil Sands Project. 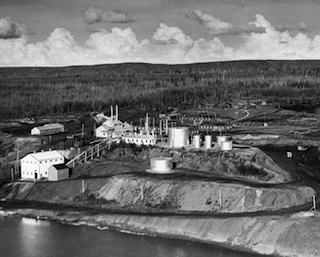 Alberta Government Oil Sands Project plant at Bitumount is completed. Karl Clark at the completed Bitumount plant, n.d.
Blair Report indicates that developing the oils sands could be profitable. 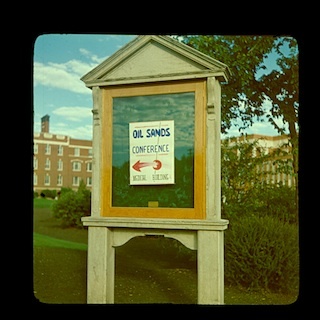 Over one hundred delegates attend the Athabasca Oil Sands Conference at the University of Alberta. Government of Alberta puts the Bitumount plant and 5,784 acres up for sale, but does not receive any adequate bids. 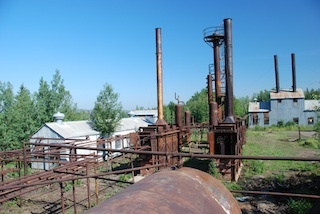 The plant remains non-operational. 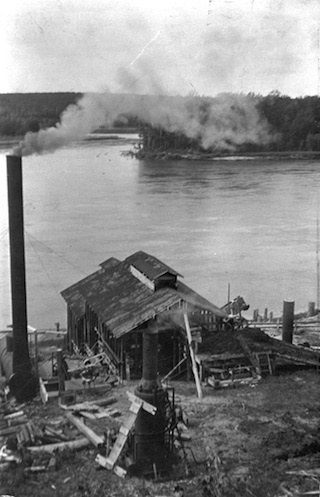 Bitumount plant is sold, but no significant development occurs and it is finally abandoned in 1958. 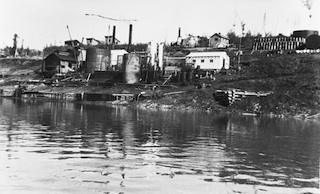 The Bitumount site became overgrown in the years following its abandonment. 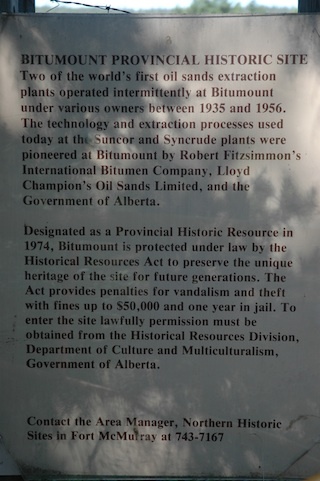 Bitumount is designated a Provincial Historic Resource. Henry Marshall Tory (1864-1947) was a man of vision with a talent for transforming his ideas into reality. 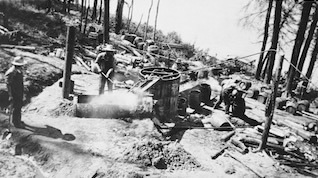 Although he was not personally involved in the research or engineering work that resulted in the success of Bitumount, he nevertheless played a pivotal role in making it happen. Canadian servicemen as a way to help them make the transition back to civilian life. 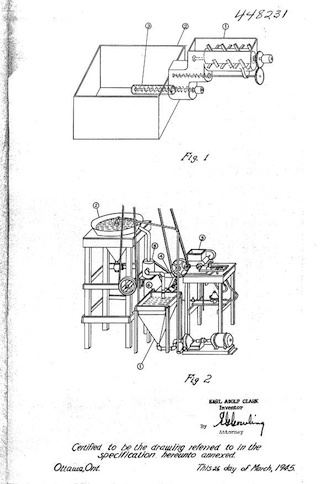 Upon his return to the university in August 1919, Tory plunged into a new project. He wanted to make scientific research an essential part of Alberta’s economic development, and he was eager to get the university involved. 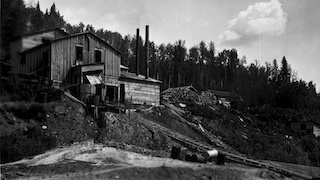 Before World War I, with Tory’s support, the provincial government had brought the bitumen deposits, or tar sands as they were then known, of north-eastern Alberta to the attention of the federal Mines Branch. Tory hoped the federal government would support a University of Alberta research project. 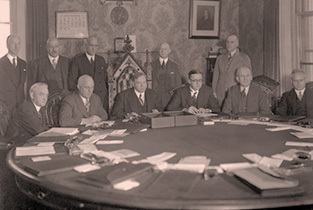 Alberta (SIRCA) was inaugurated, with Tory as one of its five members. Tory was not one to let an opportunity slip by. In late 1921, former Alberta premier Charles Stewart—the man who sanctioned the creation of SIRCA—became federal Minister of the Interior and Mines. 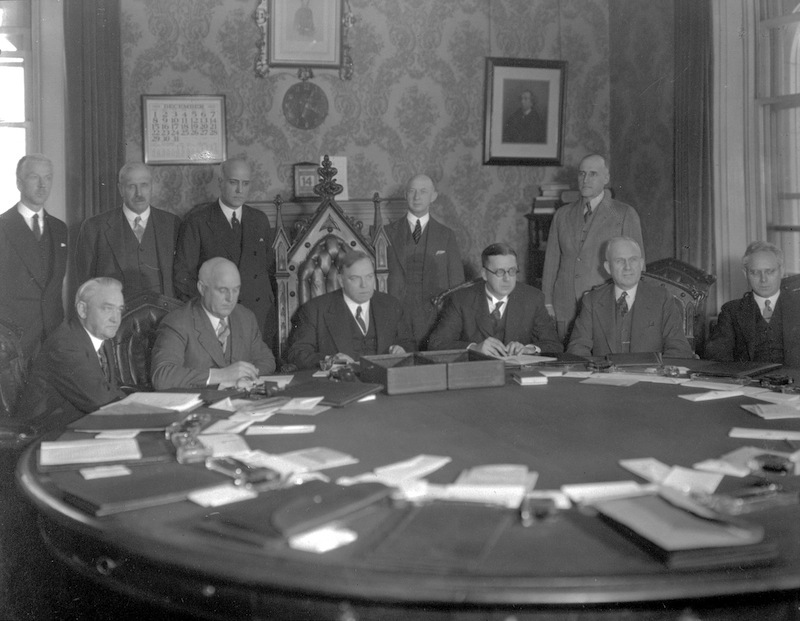 Stewart was responsible for the Honorary Advisory Council. 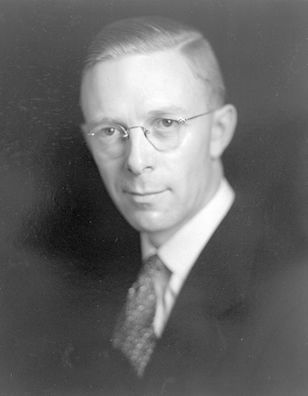 By February 1923, Tory was made a member of the Council and, incredibly, in October that year he became interim chairman. Still based in Edmonton at the University of Alberta, Tory set about transforming the Council’s role from advisory to active research. In this he was successful, with the passage of the National Research Council Act of 1924. 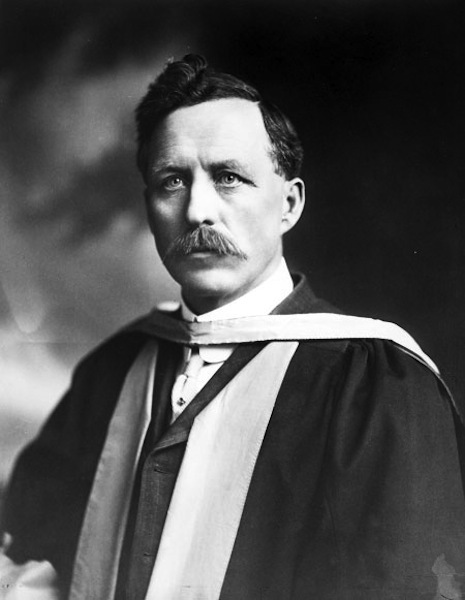 In 1928, Tory left Edmonton and the University of Alberta to become the first President of the National Research Council in Ottawa. He did not forget Alberta or the oil sands. 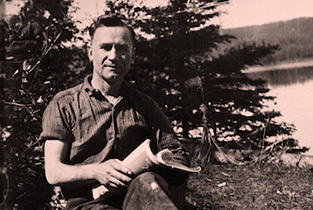 His influence can be seen in the new cooperative spirit that resulted in a joint federal-provincial oil sands project on the Clearwater River in 1929. 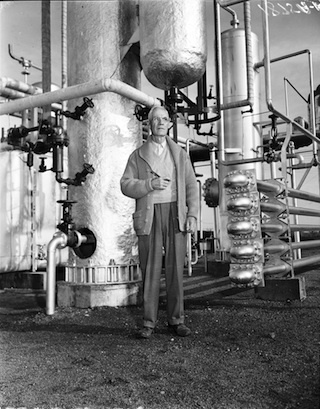 Tory died before the plant at Bitumount was completed, but his drive, vision and pioneering spirit were truly the foundation upon which science, industry and government combined to successfully build a commercial solution to the challenge of separating Alberta’s oil sands.